Perfect location, great staff. The complementary apples, bottled waters, orange juice, bread, and bottle of wine was greatly appreciated. The place was spotless and the bed was very comfortable. Thank you for everything. Loved the interior and the space of the apartment, the kitchen was fully equipped with coffee machine, all plates and cutlery etc. Also, the fridge was stocked with juice, milk and bread which was a nice welcome. 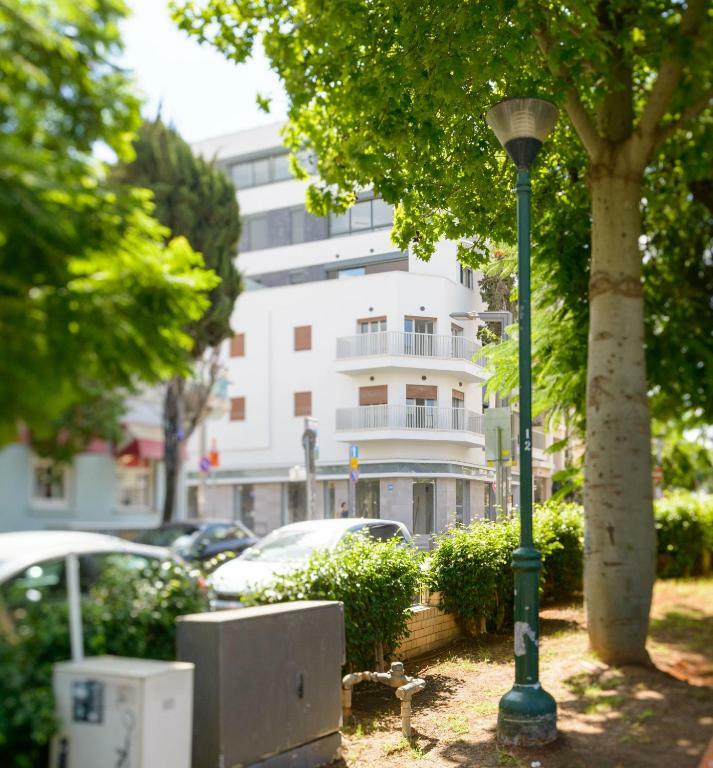 The apartment is centrally located on Sheinkin Street with lots of restaurants and boutiques nearby. 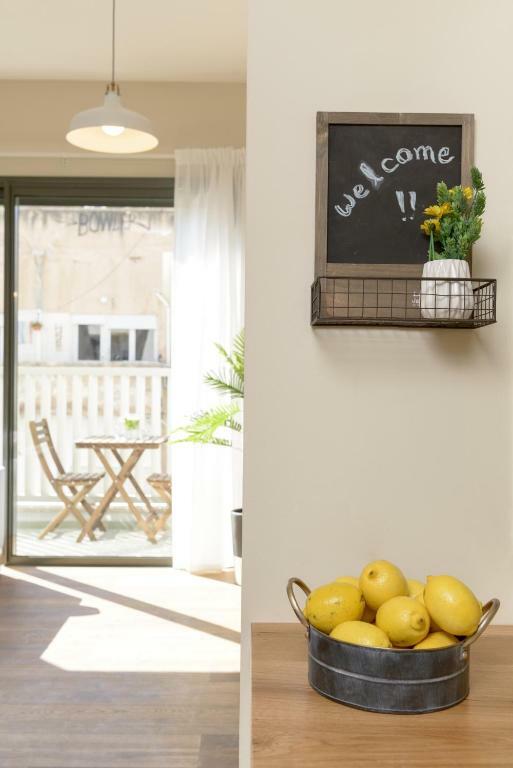 The apartment is beautifully decorated with a lot of style on one hand and comfort on the other, every thing was clean and inviting, warm and welcoming. They really thought about every thing. The location was perfect, at the center of one of the most famous streets in Tel Aviv. This is a terrific apartment in a fantastic location. Close to the beach, shops, the market and restaurants. I would happily stay there again. The little garden is a rare find. Just a great place, perfect location & helpful & friendly host! The perfect stay in Tel Aviv! The apartment exceeded our expectations. It was very comfortable, beautifully designed and well equipped. Communication with the host was easy, quick and friendly and Moshiko, the host was extremely nice and avilable for any question or request we had. 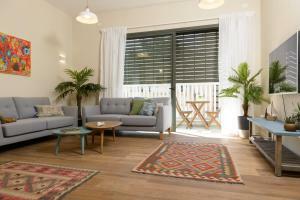 The private garden was another big advantage for the apartment and can be used year round in the Mediterranean weather. 2 bedrooms, rather comfortable and cozy for the family, has a small garden. Whatever you ask for is delivered. Nice welcome. Quiet location in the middle of the city. Nice garden/terrace. The location is great. Room and beds very comfortable. Lock in a great price for CTLV Sheinkin 30 – rated 9.5 by recent guests! One of our top picks in Tel Aviv – and a guest favorite. 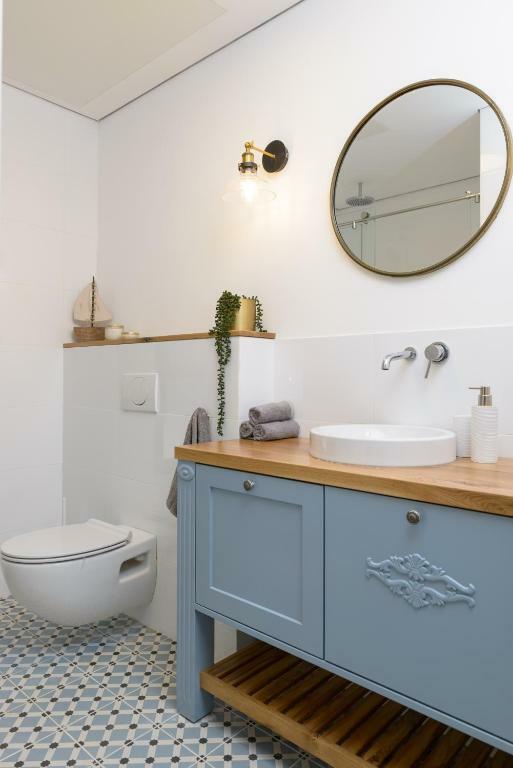 CTLV sheinkin 30 has well-equipped accommodations boasting free WiFi in the center of Tel Aviv, a few steps from Shenkin Street and 1,000 feet from Nachalat Benyamin Crafts Fair. 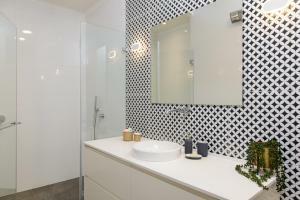 All units have a private bathroom and have air conditioning, a flat-screen TV and a dishwasher. There is also a kitchen equipped with an oven, microwave and toaster. Meir Park is 1,650 feet from CTLV sheinkin 30. The nearest airport is Ben Gurion Airport, 7.5 mi from the property. 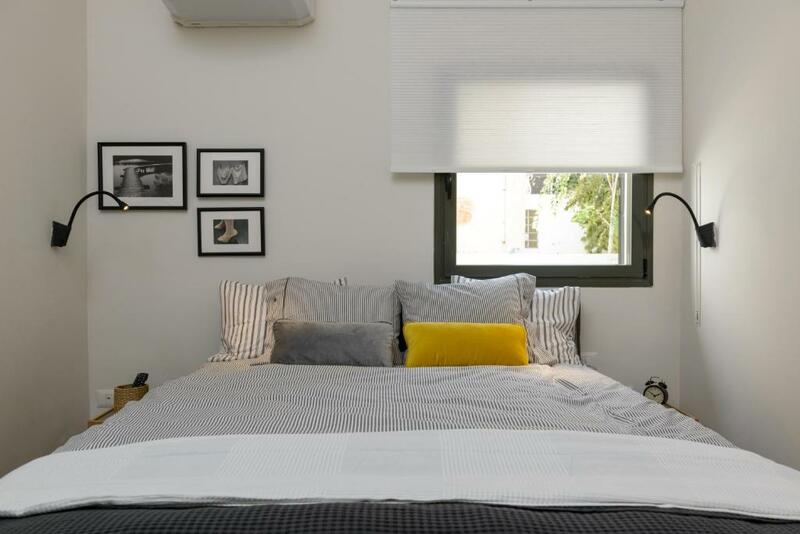 This property also has one of the top-rated locations in Tel Aviv! Guests are happier about it compared to other properties in the area. 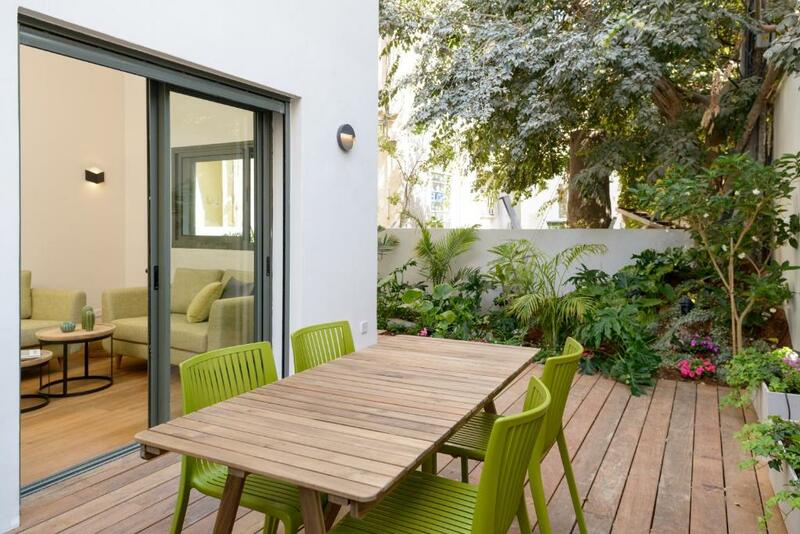 뀐 Located in the real heart of Tel Aviv, this property has an excellent location score of 9.8! When would you like to stay at CTLV Sheinkin 30? This apartment has a kitchenware, tumble dryer and seating area. Private parking is available on site (reservation is needed) and costs ILS 60 per day. 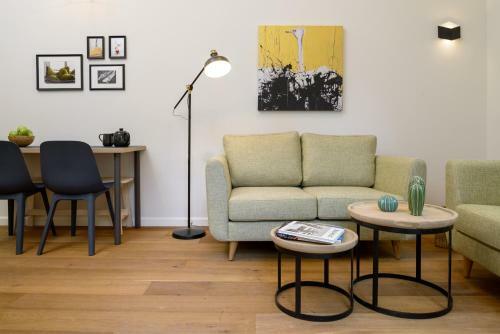 This apartment features a sofa, private entrance and kitchenware. Hi, we are CTLV! 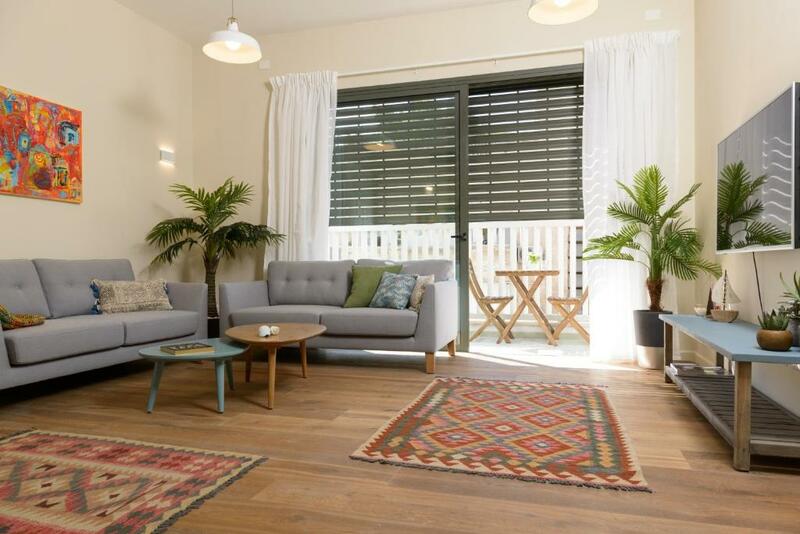 we welcome you to enjoy a beautiful stay in one of our luxury apartments . All of our apartments are located in brand new buildings, equipped with brand new furniture and accessories including laundry and dryer machines. All of our apartments are luxuriously decorated with the intension of making your stay with us as comfortable and as pleasant as possible. House Rules CTLV Sheinkin 30 takes special requests – add in the next step! CTLV Sheinkin 30 accepts these cards and reserves the right to temporarily hold an amount prior to arrival. Please inform CTLV Sheinkin 30 of your expected arrival time in advance. You can use the Special Requests box when booking, or contact the property directly using the contact details in your confirmation. Parking is a problem. Living room is rather small. The place is band new, extremely clean and perfectly located. The host was very helpful and available during our entire stay. We loved our stay here. The apartments location is fantastic and the apartment itself was modern, spacious and clean. Hosts were welcoming and stocking the fridge with a few essentials was a nice touch. Would happily return in the future. We stayed one week at the garden appartement. It's perfectly located in the center of Tel Aviv, 10min walk to the beach, 1min to 24h supermarket. All other attractions also close by like carmel market. Appartment is very clean, extremely comfortable beds, TV in each room, nice kitchen with prefilled fridge, big shower. Quiet garden terrace in the back. Good service, we'll definitely come back here when in TLV. We loved everything about the apartment. It was perfectly clean, equipped with everything you could ask for. The location is perfect for sightseeing and strolling to the beach. 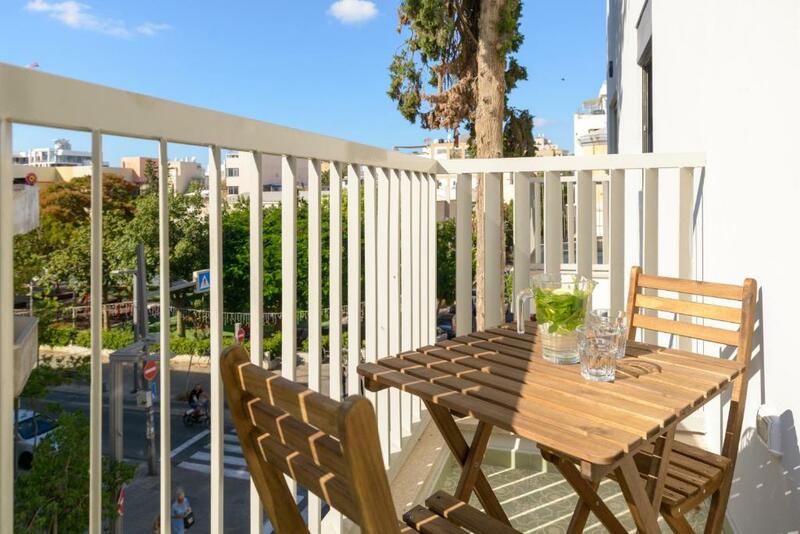 Finally, the terrace was ideal for spending evenings in peace and quiet after a busy day in noisy Tel Aviv. We had to wait for 1 hour to check out, host arrived only at 3pm. Pity in this price range to have plastic plants, poor quality of towels (stay wet) and to have no clean windows, shower and floor while the apartment has much potential and could be better than an ok experience.